Discussion in 'Plug-in Vaporizers' started by Hudsonrulez, Nov 9, 2008. Maybe the reason the cs is not the best or faster is there is so fews issues with HerbalAire vaporizers.... it seems they rarely fail and need to be repaired! I agree they are not fast to answer emails or even to ship packages although they will do it and, at the end, you will be pretty happy (when I ordered from them my first vaporizer ever I waited +2 months to get the package, not totally their fault although, but they included a ton of free accessories!). I think HA mainstream is to work with retailers since this vape is avalaible worldwide in every vapor shop! HA rules! I still love my 2.2! Amoreena, StormyPinkness, KidFated. and 1 other person like this. Had anyone else had this issue with heating up over a years time. We use it for bags @ 365 & 385. Thank you for your help, my HA won't heat up anymore, the lights turn on but never go to green anymore. Anyone know if there is anything I can do? I'll post this question here on fuckcombustion.com and in an email to ha, I will let everyone know what their support can do. But in my experience in the past they have overcharged me and never responded to emails in the past. arb and StormyPinkness like this. I've had my HA2.2 for 6+ years and my HA3 for about a year both with no problems, sorry I can't help. PPN and lazylathe like this. StormyPinkness and PPN like this. Like the ones on the outside of the pic? I got the hydro brick attachment for my sticky brick og and it came with one of those, I'll try to remember to try that when I get home. I know you can put the ha in glass and it's pretty stable, this might pop off easily though if it doesn't fit really snug and/or there's not weight on top keeping it on. I know in a pinch some people just put a silicone whip over the whole thing. Looking @ planetvape GOG any advise? I feel like I've seen a lot of people warn about taking those out of the HA. It can be a little snug (especially after heating) and trying to twist or rock it out could lead to damaging stuff inside the HA. I don't remember people saying that it happened to them, just warning about it. To be very careful taking it out if it's snug, wait for it to cool and don't twist it out. I use the teflon one that came with it, but I definitely get wanting to use glass instead. @fcombustion33 Just sent you off a e-mail with instructions for sending the unit in! And to all the other members out there we are currently having our Annual 4/20 sale! ***HA from CA*** review for 2018 (based LITERALLY on recent emails and product performace). Update: For the record! HA'S SUPPORT has been phenominal, better than I could have ever hoped and best of all somehow keeps getting better and better. My refurbished HA came in all right and with speedy shipping, works without fail, with the best warranty protection in the business. Their warranty is so good it's basically that when you buy an HA you are a member of an elite family for life, their heart goes out balancing prices with the reality that even though a product may be worth more than it's charged, they also understand that the durability of unit builds a legacy, a legend, longevity by a strong name that can stand the test of time, besides HA customer service is a service so good it's a value in savings on it's own. I have personally been in constant repeated contact with this company via email for the last two months and they make sure that everything is done and is done right. But this review is not biased, so here is where they need improvement: "The cord to their air pump is not as long as their previous version." Now I personally emailed them about this as this is a concern for HA family members like myself who have been sharing my HA use with my circle of fellow WA state stoners who come by my place from time to time just to try it themselves because they have never seen such a neat, such a durable but most importantly such a hot heating extraction machine this bad boy is capable of when vape bonging with air pump assistance. 1: If you attach an air hose from the white tip to the bong everything should work out the same, they are correct in this statement. (So what I am thinking is people with current pump units there is already a fix out there that is cheap and that can help show your support back to the HA Company with a cheap Cord purchase (Air Cord)). 2: The current air pump is still better than the previous one, it is faster with a better on/off switch, just like the HA it is built with durability and affordability and performance in mind. 3: They admittedly recognize the future is going to be more and more evolving and that vape bonging is a part of that evolution, they are already making plans to make the next Official HA AIR PUMP even better than the last with a longer cord as part of that new design. To which if HA is watching (and with their legendary CS they are) I would love to hear updates on when it comes out and where to buy. Yes I see your dilemma with the pump cord and unfortunately at this time we do not sell extensions for that cord in particular. We will be making another run of these cords shortly with almost double the length to address this issue. In the meantime I would suggest just running the whip tubing from the top of the herbalAire directly into the bowl of the bong which will allow you to use pump assist through a bong and have both the herbalAire and the bong standing securely on the table. We also agree that pump assist through a bong is quite the game changer and since herbalAire is the only vaporizer that can truly do espresso mode vaporization through a bong I feel that this gives us a unique advantage over the competition along with all the other features our units are capable of. I am sending this shipment at a little faster speed for you. The tracking number for this order is "LM 096 505 935 CA" you can follow its progress through www.canadapost.comand then through www.usps.com. Since I am satisfied with HA customer service but am not biased and believe in complete honesty the only other flaw I noticed with Ha is that they use paypal, don't get me wrong the transaction went through no problems and HA customer service even took the time to email me back about my complaints of how I personally like many others find PayPal an inferior company not worth anyones time. Also it took them a couple days to get back to me because they were over worked doing a trade show, but not only did they get back to me, they did it with apologies for any waiting. All in all HA Support is the best of the best the industry has to offer. Period, bar none. There's a reason they are a legend, their fairness and generousity of warranty appreciation is the best I have LITERALLY ever seen from a company not only of this type. StormyPinkness and herbalaire like this. All previous flaws with the old HA are also a thing of the past. The new design is better than ever, the crucible is easy to take out now, the white tip does not fall off anyore, the dial has a guard to prevent wear and tear to the settings numbers. They even emailed me since I last posted with updates about the new pump, so even though they have improved they are still currently already working on continous on going improvement, think of them as the the HA bunny, they just keep going and going and going. StormyPinkness and RUDE BOY like this. If you need a rec, I don't use my Herbalaire much anymore as I mostly use battery or butane operated portables, but I LOVED my HA and it still sits at my vape station. It was my first vape and I think it's good choice for a newbie as it is powerful and allows you to test out several different ways to vape. That plug tho really anchors you in one spot. Vapin in the usa, StormyPinkness and VapeKnight like this. have you e-mailed them directly to their domain? Did... Got QUICK response, and replacement (H3)! 204Markie, looney2nz, lazylathe and 2 others like this. In your opinion how does it compare to the Arizer as it's a cheaper option but very breakable. IMO one of the BEST portables for flavor is the MiniVap and it uses a ...... TEFLON core. I own the original HA as well as the Elite and love both of them. The whip material is not too bad but I would just buy the adapter to use it with glass or bags. 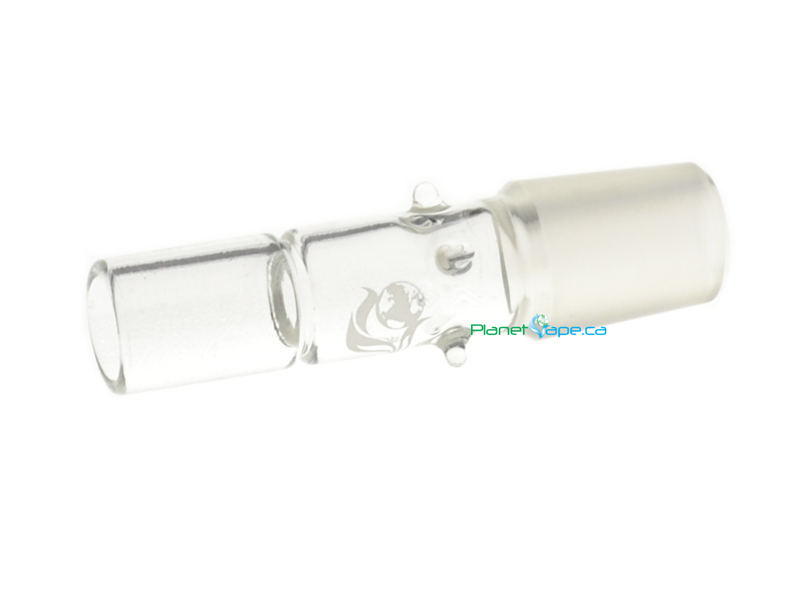 The mouthpiece that comes with the unit can be mated to glass but you need to maintain the seal for best extraction. If you are averse to stiff whips or teflon, then this may not be the best vape for you. The whip is an easy replacement to a softer style for a few bucks. The adapter is $20 and will last you and your kids a lifetime, so long as you don't lose it! LOL! ataxian, StormyPinkness and 204Markie like this. One of the first things I did when getting my HA was to get some nice silicone tubing. What came with mine was not very good, I think it may have been vinyl, so I replaced it with silicone and was much happier. Y'all made me nostalgic so I ran a couple bowls through her last night and very much enjoyed it. ataxian, StormyPinkness, justcametomind and 2 others like this. Do u have the link for the tubing. StormyPinkness and ataxian like this. StormyPinkness, ataxian and KidFated. like this. @KidFated. was it @OF that spoke highly of the HERBALAIR? lazylathe, StormyPinkness and KidFated. like this. KidFated., lazylathe and StormyPinkness like this. I really like those too, I think it was @421 that got me into them. I have a tough time keeping them clean. KidFated. and lazylathe like this.